Students are immersed in 21st Century Technology with excellent Information and Communication Technology (ICT) resources including guided internet access in all classes, online educational resources, interactive whiteboards in all classrooms and library. Our 21st Century library includes flexible learning spaces with 75 computers, which are well utilized by teachers who find flexible, innovative ways to use the digital resources available to them. 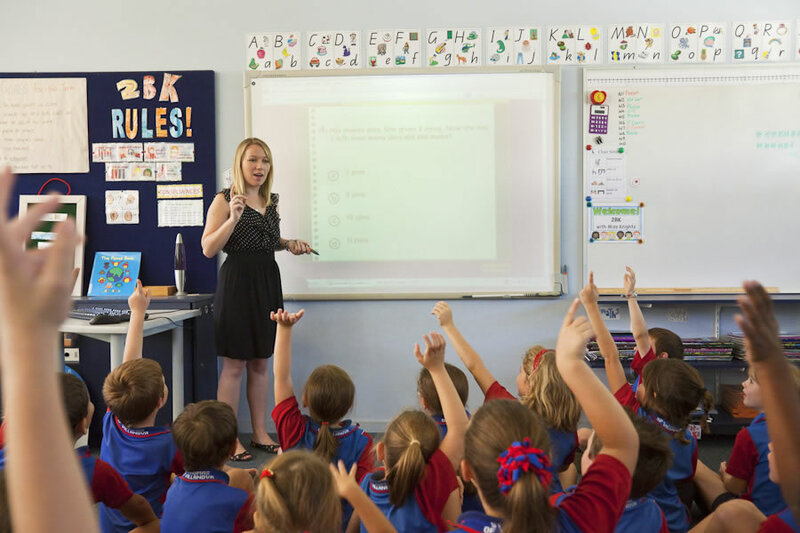 User response systems, used with the Promethean Interactive Whiteboards, such as ActivEngage, ActiVote and ActivExpression devices have also been used by many teachers to supplement prepared flipcharts. Such devices enable students to be active participants in their learning and allow all students to have an equal voice. Teachers evaluate the level of understanding more easily using these devices with their classes, and can refine their lessons accordingly. Mobile technologies such as iPads, Chromebooks and Surface Pros are also available to students in all classes. Compliance with Australian Legislative Privacy Principles and Security of information was of utmost importance. Auditing and monitoring capacity existed, to ensure proper management in areas of student protection and digital citizenship. Product integration with existing environments to ensure ease of use and maintenance, as well as limiting supply of personal information, to protect student and staff identity. Meeting functional requirements and a need for schools to maintain current and adaptive skill sets with the ever changing and improving use of technology. The use of Google Apps is supported by a signed agreement between Catholic Education and Google, and acknowledgement from Google on their commitment in ensuring the Google Apps for Education environment is a safe and secure environment for students to use. Refer to the following link for more information about Privacy in Google Apps for Education https://www.google.com.au/apps/intl/en/edu/privacy.html.